It was early, when I saw this man walking lonely. This is a challenging picture. Why? I has so much potential! There is much more in thgis image, a tightercrop and reworking the OE spot can be the forst step to improve this already nice photo. 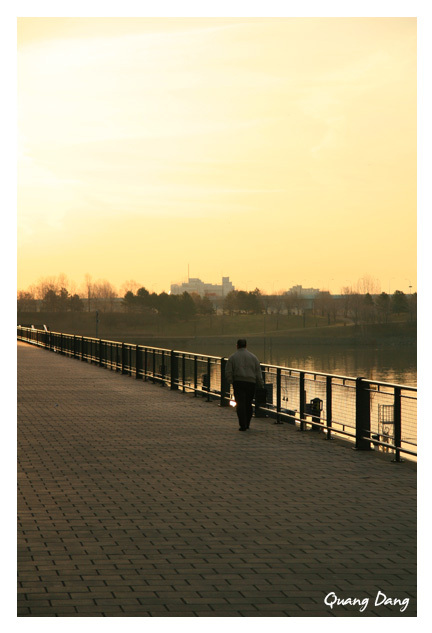 Anyway I like the mood of this image with the lonely walking man. Well seen, fine posting! My compliments. As already stated great shot but with a little croping it could be even better. TFS I did a workshop for you.